Together we raised £9659 for this year's fantastic charity. Thank you. Strutt Your Mutt – Dog Day & Walk is the annual charity event hosted by Wangford Veterinary Clinic on the beautiful Benacre Estate. Since 2014 we have raised around £30000 for fantastic charities including Hounds for Heroes and Dogs for Good (formerly Dogs for the Disabled). In 2017 we raised £6147 for Hearing Dogs for Deaf people, which was our best total but in 2018 we beat that and raised an amazing £9659. This year our main supported charity was Hearing Dogs for Deaf People. This family fun day brings people together and celebrates the unique relationship that we share with our dogs. Trade stands have everything that you could need for your dog from food and equipment to bedding and healthcare. This year&apos;s event took place on Sunday June 10th 2018. 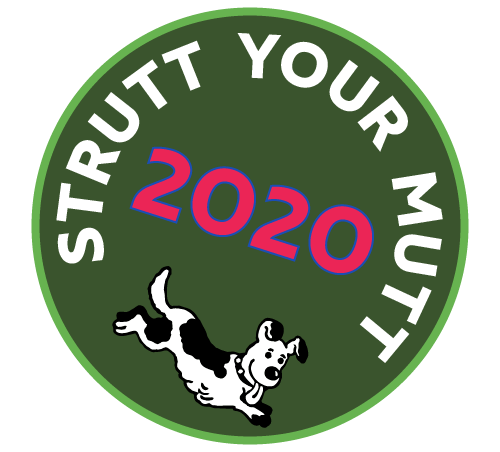 Sadly, due to restoration work Strutt Your Mutt 2019 WILL NOT be able to go ahead as usual but will be back again in 2020 - Sunday 13th June. See what some of last year‘s visitors thought. Would you like to support our fantastic charity anyway? Deafness can be incredibly isolating leaving many deaf people without the confidence to leave their homes, avoiding social situations and feeling cut off from the world. Hearing dogs provide vital companionship and practical support to help deaf people live confident and independent lives. The team of vets, nurses and receptionists at Wangford work together to provide a high standard of care and offer you and your pet a professional yet personal service in a friendly and relaxed atmosphere. As a companion animal practice we treat cats, dogs, rabbits, small furries and exotic pets. Patients are all looked after with the same care as we give to our own pets. Wangford Veterinary Clinic are proud to organise and host Strutt Your Mutt. Do you find yourself struggling to keep your website up to date? Do you wish it was easier to manage whilst being more effective? Do you feel like your website is creating extra work - when really it should be working for you? White Wolf Development can help as we specialise in building websites and web applications that you manage rather than wrestle with; that are designed to maximise the effectiveness of the effort you put in and are designed to be able to evolve and grow with your business. We would love to have a chat about how we can help you get the most from the web.